Ballas Angelina - Ballas, Pelecanos & Associates L.P.C. 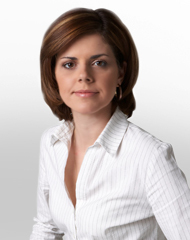 Angelina is a Senior Associate at "Ballas, Pelecanos & Associates L.P.C." and a member of the IP, IT& CT Group and the Economic Law Group. She is a member of the Athens Bar Association since 1998 and is entitled to argue cases before the Athens and Piraeus Courts of Appeal and lower Courts. A graduate of the University of Athens Law School (LL.B. ), Angelina earned a Master of Laws degree (LL.M.) from the University of Kent, Law School in the United Kingdom.